Last month, the Virginia Chamber of Conference held the Governor's Conference on Energy to discuss various opportunities for statewide energy efficiency investment. 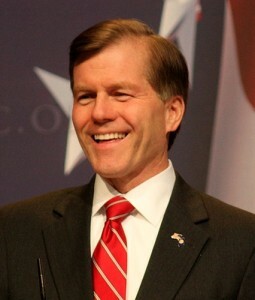 Speaking at the gathering, Governor Bob McDonnell emphasized the importance of adopting greener, more renewable sources of power to both mitigate environmental impacts and promote economic growth. "In order to grow our economy, we must promote an 'all of the above' approach to energy development, not just in Virginia, but across our nation," McDonnell told the audience. "It remains true: More energy equals more jobs. We need both in Virginia and America." The more the state adopts energy efficient measures, the more residents will be able to see the financial and environmental benefits of going green. But Virginians don't have to wait for these programs in order to reap the rewards of energy efficiency. Implementing energy saving window film throughout the home can go a long way in improving any household's environmental outlook. This brand of specialized, residential window tinting can reduce the amount of heat transmitted into a house by the sun, thereby allowing for a more consistent indoor climate, fewer energy expenditures and cheaper utility bills. For more information about how window tinting in VA can help you live green and save money, contact R and J Tinting.